Fun 3D project today by Crafty Math-chick!! Today I'm sharing a super fun Keurig K-cup holder by Crafty Math-Chick! 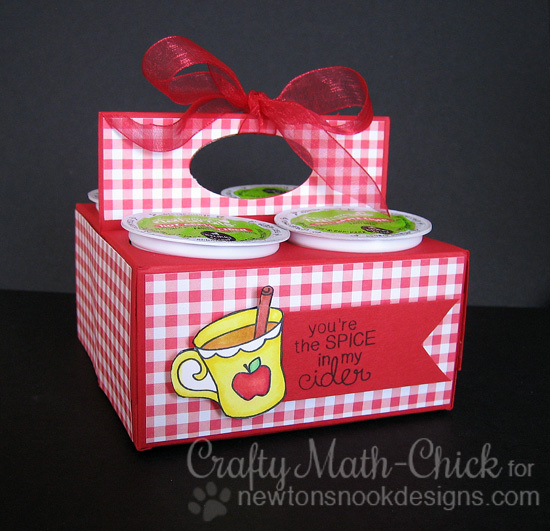 She used our fun apple cider image from the Apple Delights stamp to decorate the front of this cute little gift. What a great idea for a special fall gift for a teacher or neighbor! Want instructions on how to make this awesome project? To see a FULL TUTORIAL, pop over to Crafty Math-Chick's blog, Canines and Card Designs! 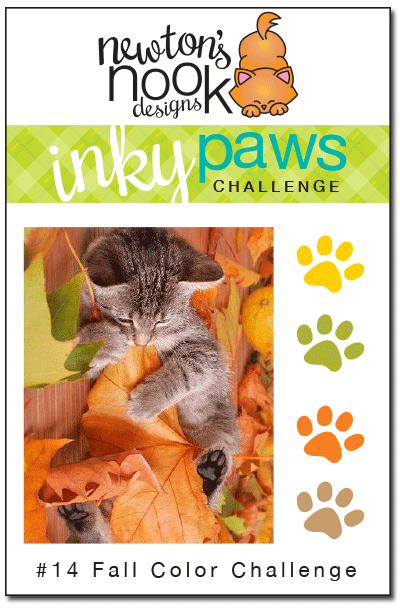 There's still time to get inky with our Fall color combo for the latest Inky Paws challenge! This challenge is open until this Friday, October 10th! Create a card or project based on this Fall Color Combo! The winners of this challenge will get a $10 gift card to our shop! You can view full details and link up your card to our Inky Paws Challenge on this post. This is absolutely amazing! Perfect autumn gift! This is so cute and would make a great gift! !